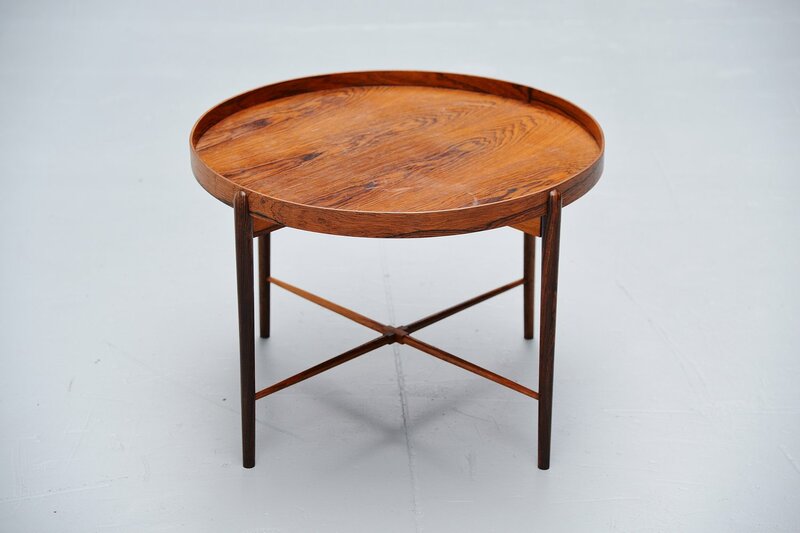 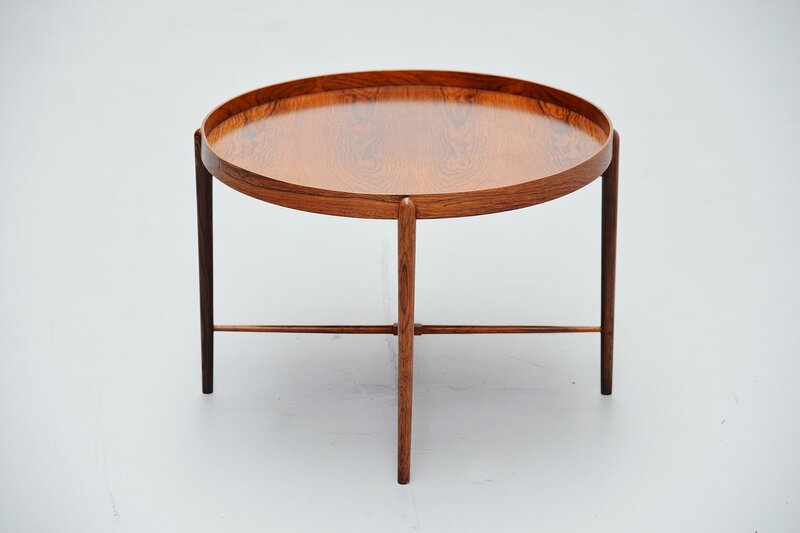 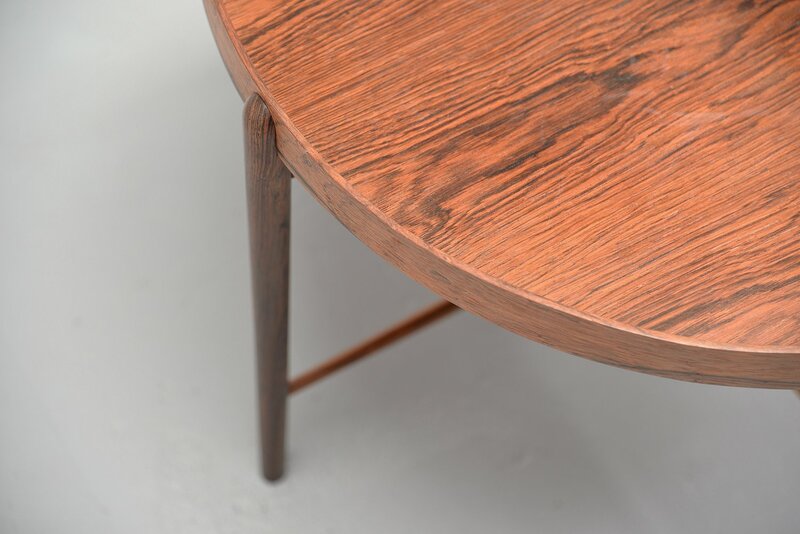 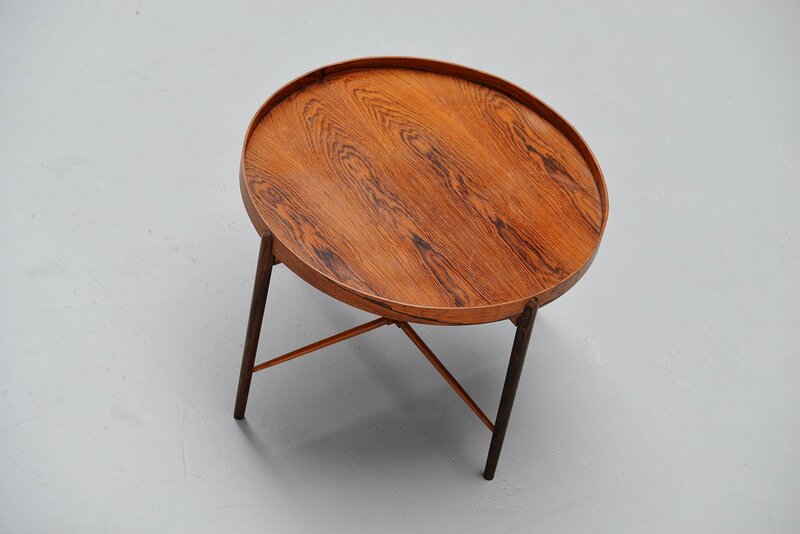 Nicely made small side table in rosewood, made in Denmark 1960. 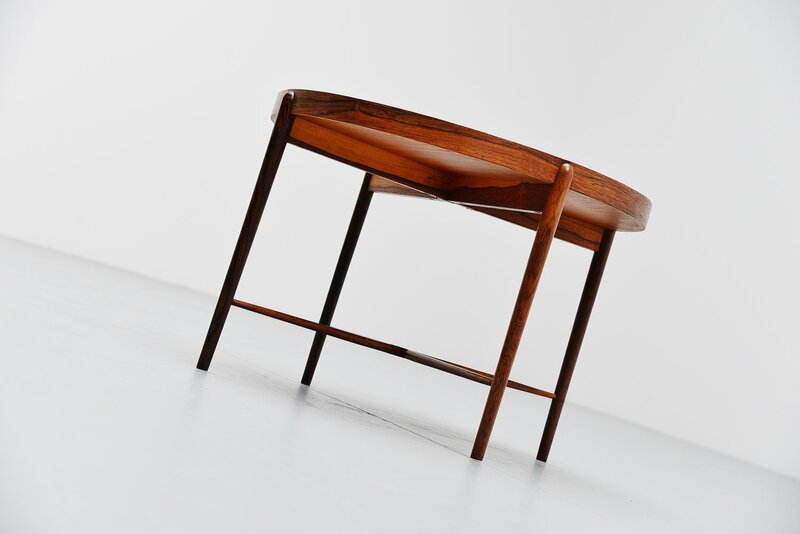 This was sold by Hoogezand furniture in Utrecht who imported a lot of important Danish furniture from the 1950s to the 1980s. 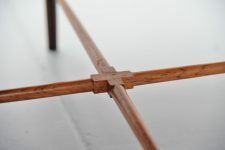 The sold important furniture by Grete Jalk, Ole Wanscher, Poul Kjaerholm and Finn Juhl. 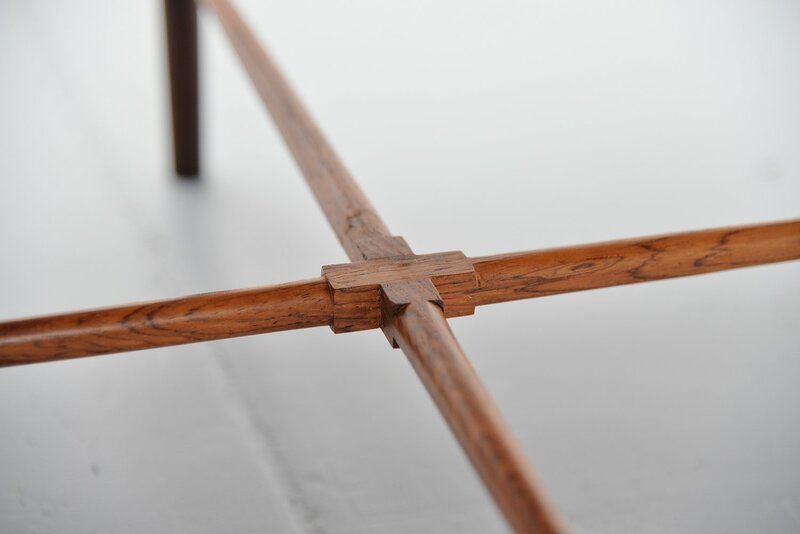 This table was made by a good designer but we don't know which one. 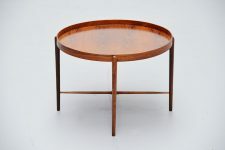 Its made of solid rosewood and has a very nice connected base. 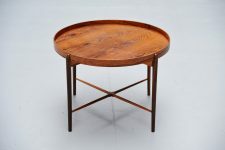 Table is in good original condition and marked with the metal Hoogezand tag underneath.